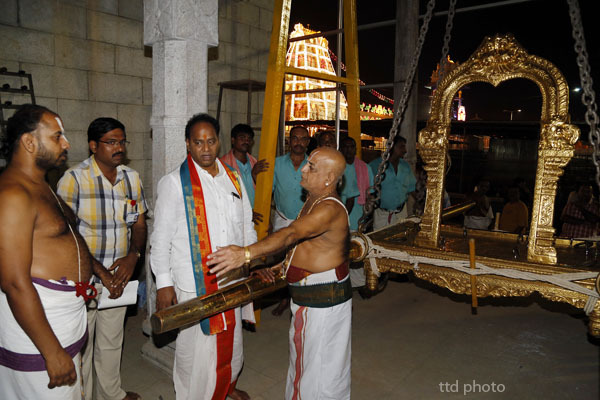 Tirumala, 22 Sep. 14: Tirumala Joint Executive Officer Sri KS Sreenivasa Raju inspected the ongoing brahmotsavam arrangements in Tirumala on Monday evening. 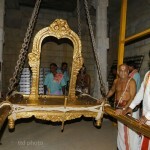 As a part of it he said the new koluvu mandapam will come to use into use from 27th September onwards. 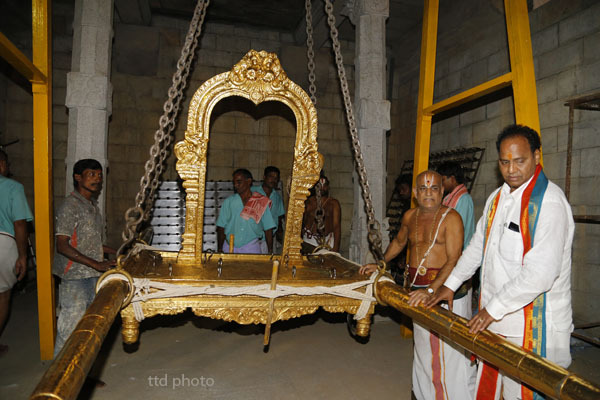 Earlier the golden tiruchi for unjal seva is trial tested in koluvu mandapam. 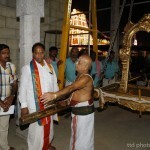 Addl CVSO Sri Sivakumar Reddy, Temple DyEO Sri Chinnamgari Ramana, OSD Sri Seshadhri, DyEE Sri Naik and others were present.